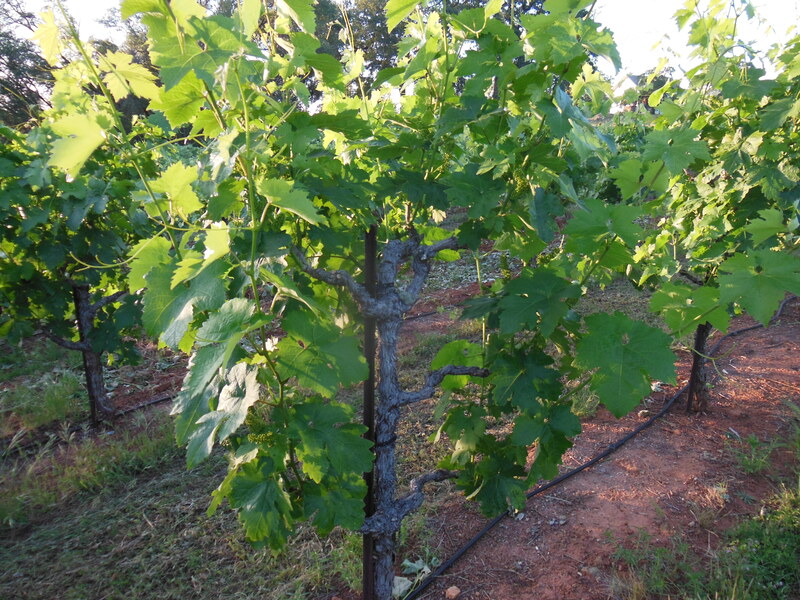 Primitivo vine subsequent to shoot-thinning on 5-18-14. 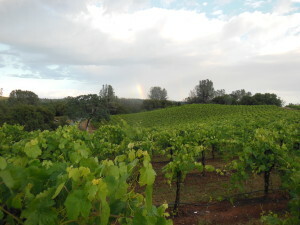 Rainbow over barbera vineyard following what may be our last rain event for months on 5-21-14. 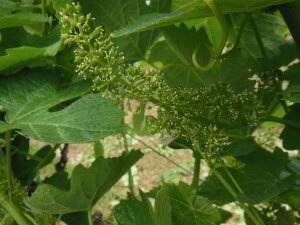 Touriga cluster in “bloom” on 5-20-14. 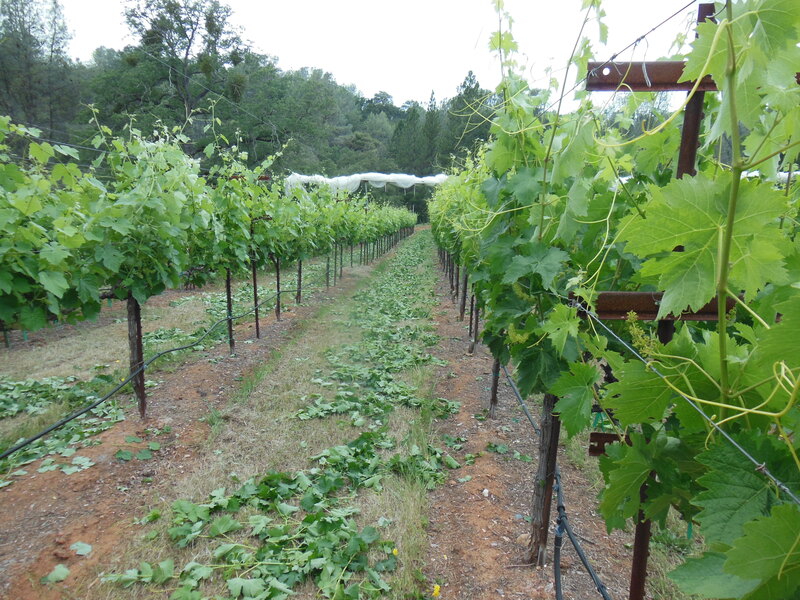 “Quinta” vineyard following shoot thinning on 5-20-14. A touriga nacional row is on left, tempranillo on right.